While walking along the Seattle waterfront, my eyes picked up a small movement in a rugosa rose. Looking closer I found it to be a pollen laden bee, and as I continued walking I found a surprisingly large number of bees and other insects carrying on their pollination activities throughout the city center. 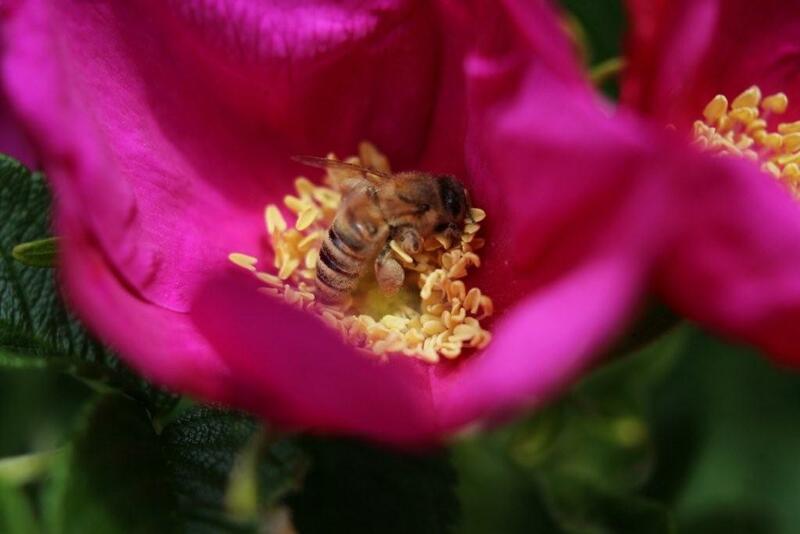 This entry was posted in Bees, Seattle Soundings and tagged bee, blackberry, flower, lavender, photo, rose, rugosa, Seattle. Bookmark the permalink.